This extraordinary piece of art is BMW 507. The original idea for the model came from the US car importer Max Hoffman, who persuaded the headquarters that there was a niche between the top-range Mercedes-Benz 300SL Gullwing and some cheap British roadsters. He must have been very influential at the time, as he was the guy that inspired the creation of the Gullwing and Porsche 356 Speedster. BMW 507 premiered in Frankfurt in 1955, but due to high production costs the price turned out to be twice as originally estimated. As a result, only 251 units were ever produced (plus 2 prototypes) and the model was discontinued in 1959. This particular example once belonged to Elvis Presley who purchased the car during his military service in Germany. The trivia is that Elvis got his BMW repainted red, because the female fans left lipstick marks on it. 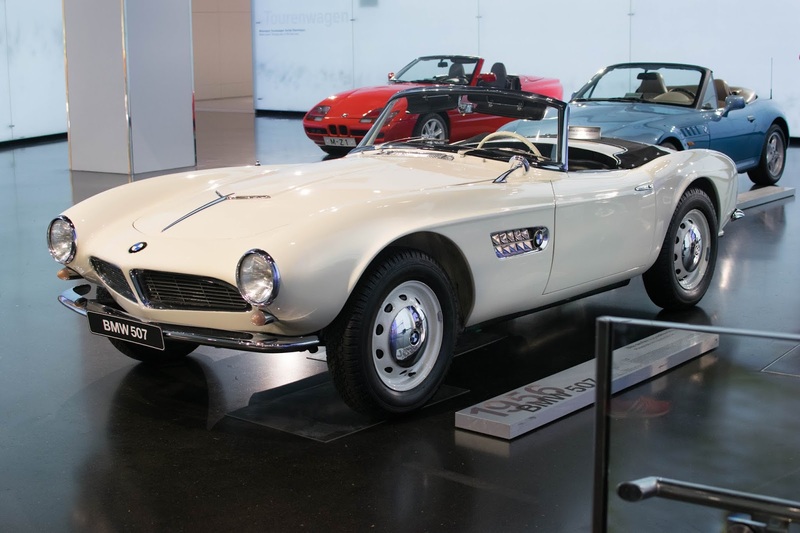 The car was recently renovated by BMW Classic and the original Feather White color was restored.